You released your third album late last year… what’s the reaction to it been like? There has been lots of really inspiring, positive feedback and amazing support on the album so far, and not just from house music fans. All kinds of different people seem to really appreciate the production quality and the high caliber line up of special guest talent on the album. I’ve always loved all styles of music and this album showcases some of my inspirations and influences. It’s important to me to be able to express myself creatively by writing different styles of music, so I really love it when I hear people say that they are not really even into dance/house music but they love the album. You started out your musical career in a band before progressing to studio work… do you ever think about returning to perform in a more ‘live’ setting? I love performing live in bands and writing music with a group of musicians. I wish I could do it all, but there are only 24 hours in the day and it’s hard to make it all happen. I actually started another live band project a few years ago called Petalpusher. We toured all over the states, but it takes a lot of time, energy and hard work to make it all happen. Being too busy can be very stressful and I don’t want to spread myself too thin, so I had to put that on hold and take a break. But who knows, I might dive back into it at some point. Tell us about your own experiences of Miami WMC… are there any particular highlights from the times you’ve been there? I’ve been going to WMC for around 15 years now and I always enjoy it. It’s nice to run into old friends from all over the world that you don’t get to see very often and of course there are always some good events with quality music so I look forward to going still, even though it’s not as fun as it used to be. I’ve had some amazing shows down there through the years, and one of them was many years ago at Nikki Beach when we did a party with Naked Music and Lazy Dog. Plus all the Salted events each year we do are a blast with great energy and amazing vibes. You’re a big advocate of not following trends and simply making the music you feel, but do you think that there has been a natural progression in the kind of music you make during the course of your career? I always try to do what I’m feeling and stay focused on that first and foremost. I experiment a bit here and there though, and I’m not always happy and proud of everything I do and release! But I’ve never really been about trying to please the masses with the music I create, the natural progression would be always trying to write better songs and achieve new sounds and work with new artists/vocalists. I love the whole process of song writing and working with vocalists, and since I am not a singer it’s important to me to stay diverse and try and incorporate all different styles of music within the music I create, from reggae, disco, funk, soul and rock all interwoven in a way that is cohesive and interesting. 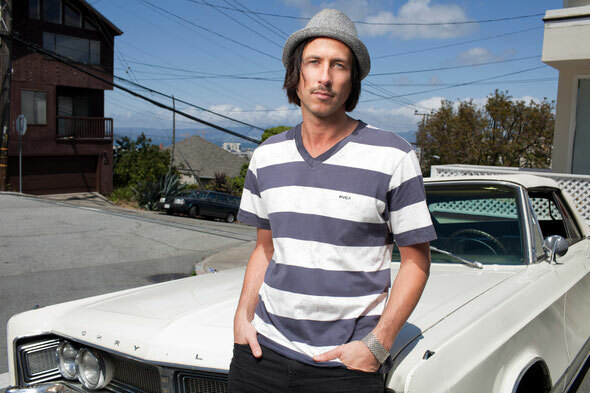 How influential do you think living in San Francisco has been on the music you make? Well, it’s a very laidback city so I guess that shows in the music I create. My parents were hippies and I grew up in California listening to a lot of classic rock, blues and reggae, so I’m sure that plays a part in who I am and the music I create. You’ve had your label Salted for some time now… finances aside, what’s been the most difficult thing about running your own record label? I started Salted Music as a little side project, just for fun, with no plan on trying to make it a big label or anything like that, but it’s become very time consuming. Things are busy, which is a good thing, but that means much more emails to deal with regarding artwork, mastering, demos, remixes, promos, agreements and contracts, licensing, etc. It’s a lot of extra work that requires time, focus and attention which is the hardest thing for me in between being on the road, working in the studio on new music and everything else in life. Thankfully we have a couple of people who help run and manage the label so it runs smoothly and efficiently. Tell us about your mix for Nikki Beach… what kind of vibe were you trying to create? Rather than doing a more obvious clubby sort of mix comp, I wanted to approach the mix as more of a deep house listening pleasure based experience, with a good groove of course, by choosing some lesser known interesting tracks, keeping the mood and feeling laid back but still having that underground deep house energy and vibe. I tried to blend deep, soulful, nu disco and dubby sounds together for a seamless and creative excursion. What else have you got coming up over the next few months? I’m actually working on another new album now, slowly, but I’m already writing and recording some new songs with some great vocalists... also the usual touring in and out of town. 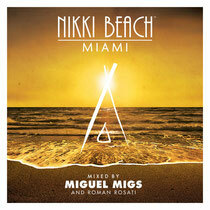 ‘Nikki Beach Miami’ is out 5th March.